Did you read any great books during the holidays? I certainly did. 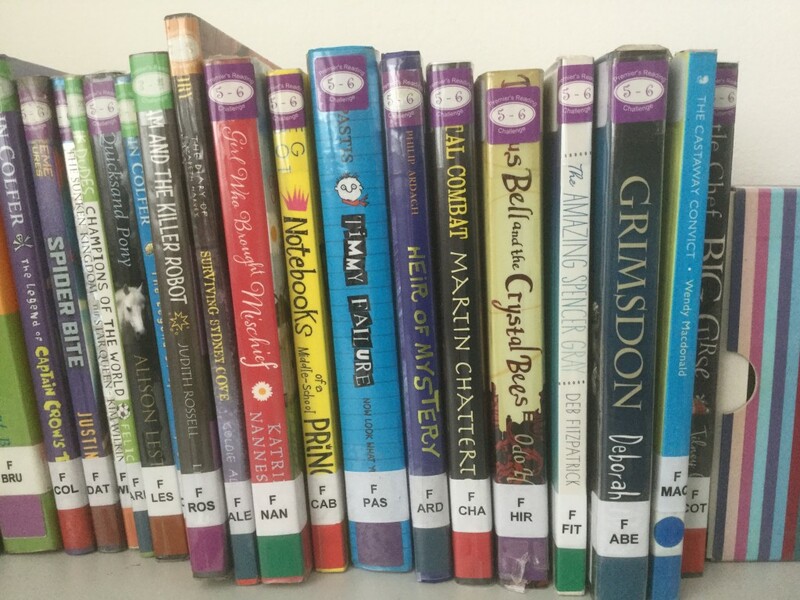 Before leaving for the holiday break, I trawled the library shelves looking for books with tempting titles, beguiling blurbs, sizzling starts and captivating covers. I chose some that were brand new, other popular titles that I hadn’t read, as well as a few that I had read years ago that I just wanted to revisit like one would an old friend. I was a little ambitious and didn’t get through all of them but I had a wonderful time trying. I travelled back to Australia’s colonial past in three books. 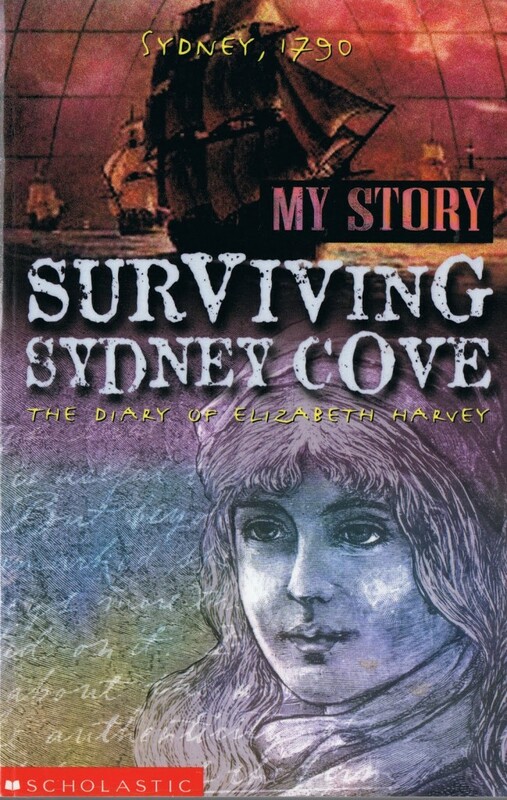 Surviving Sydney Cove: The Diary of Elizabeth Harvey by Goldie Alexander and Convict Girl by Chrissie Michaels, both deal with the harsh realities of life in the early years of the colony. Elizabeth Harvey was convicted and transported to Australia on board the First Fleet. Her diary covers a two month period during the worst of the ‘starving years.’ She recounts the terrible conditions in 18th century English gaols and prison hulks, life on board the Lady Penryn, and in the new colony. 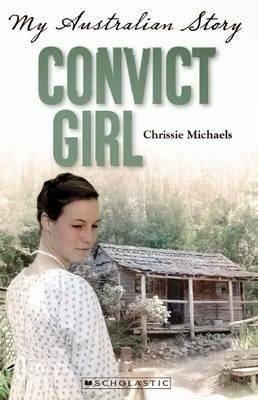 In Convict Girl, we follow the life of another convict, Mary Beckwith during the years 1801 and 1803. As well as describing her day to day life she also provides us with details of events such as the Irish uprising and tensions with France. A twist of fate leads her to be assigned to the French discovery ship the Geographe under the command of Nicholas Baudin. Both these historical accounts are based on fact. 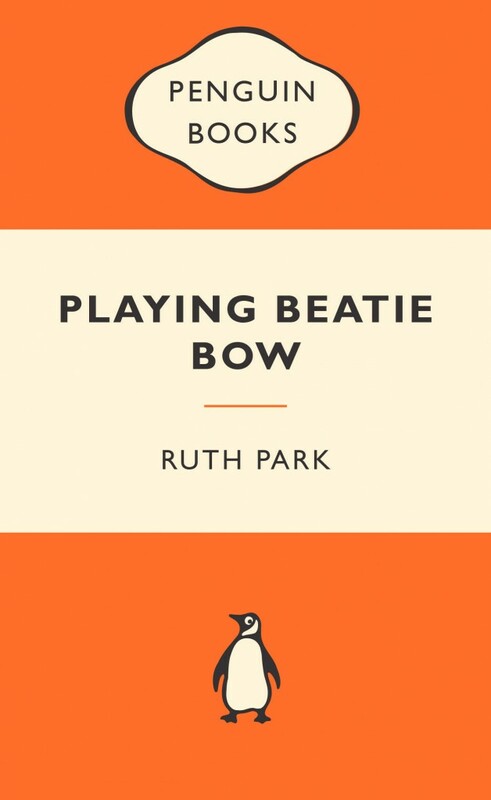 The third book that took me back in time was an old favourite, Playing Beatie Bow by Ruth Park. 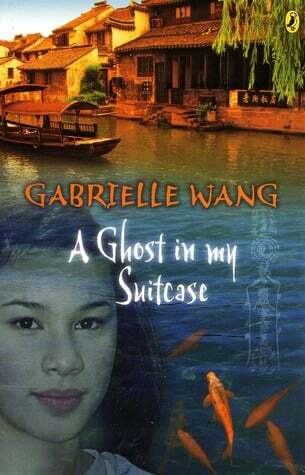 In this timeslip novel we travel with Abigail a disgruntled teenager living with her mother in the Rocks area of Sydney in the present day, back to the same location in 1870. This book is a mix of historical fiction, fantasy and romance. I’d recommend all three of these titles. Another old friend revisited was My sister Sif, also by Ruth Park. In this futuristic fantasy novel I travelled to a Pacific Island with Riko and her older sister Sif and was thrust into the problems faced by merpeople due to the ecological havoc caused by man’s careless neglect of the environment. 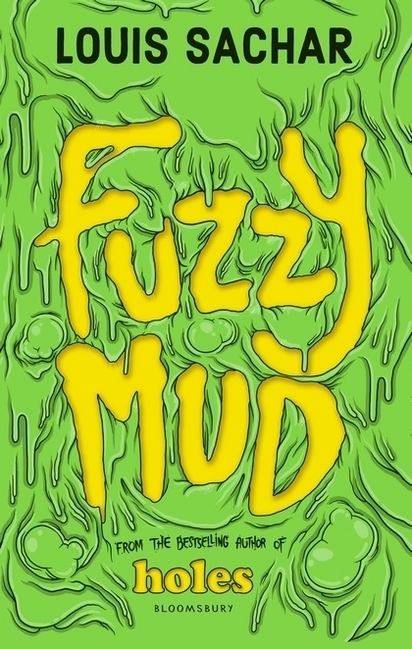 Fuzzy Mud by Louis Sachar also deals with an impending ecological disaster. This is a thrilling adventure story set in a private school and has Tamaya as the heroine who stands up to the school bully with dire consequences for them both. A great read! These were but a few of the amazing literary journeys I went on during the holidays. I could go on and on. Why don’t you visit the library and ask me about my other adventures? I’d love to hear what you have been reading? 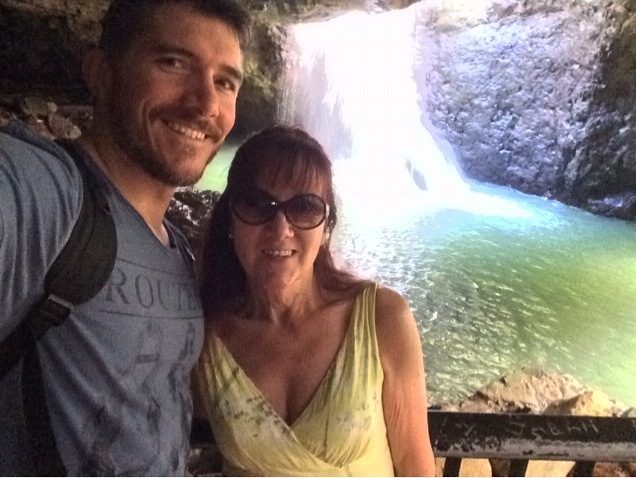 I’ve enjoyed a wonderful week in balmy Brisbane with one of my beautiful boys. Nothing beats spending precious time with the ones you love. Thank you Anthony! More memories to treasure forever. 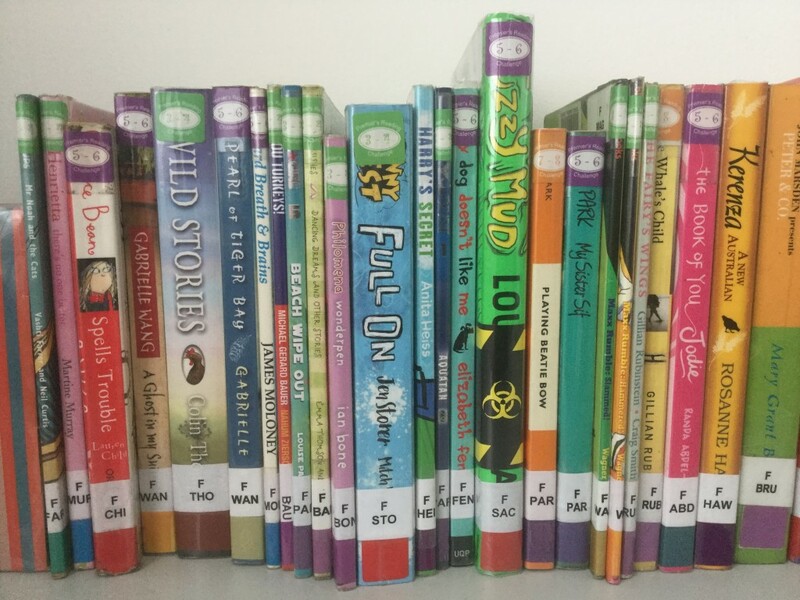 During the week I read the six shortlisted titles in the ‘Younger Readers’ category of this years Children’s Book Council of Australia (CBCA) book week awards, as well as reaquainting myself with the six books selected in each of the other categories. 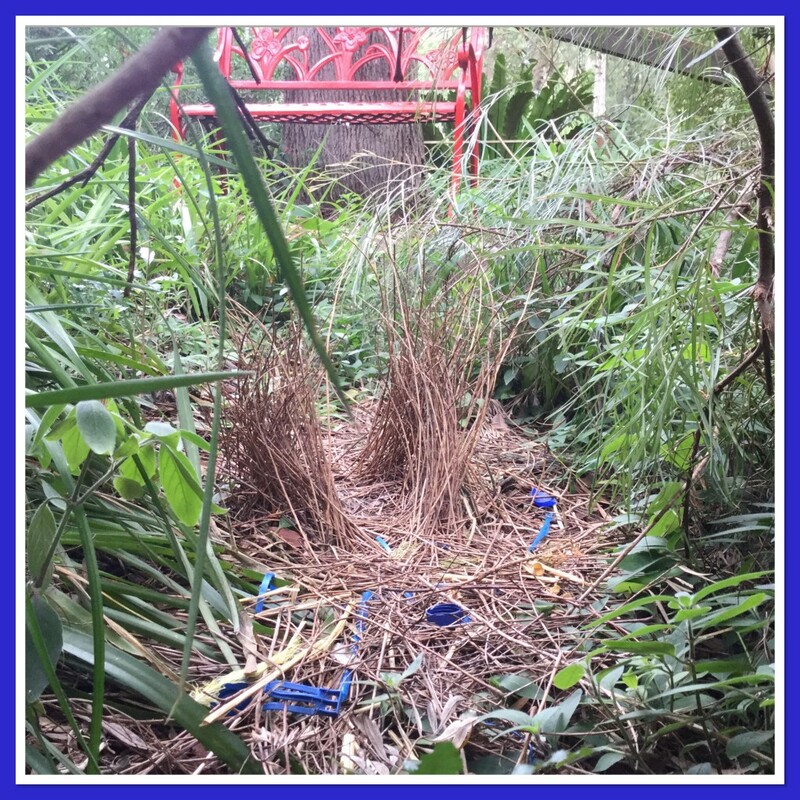 I can’t wait to share them with you this term. 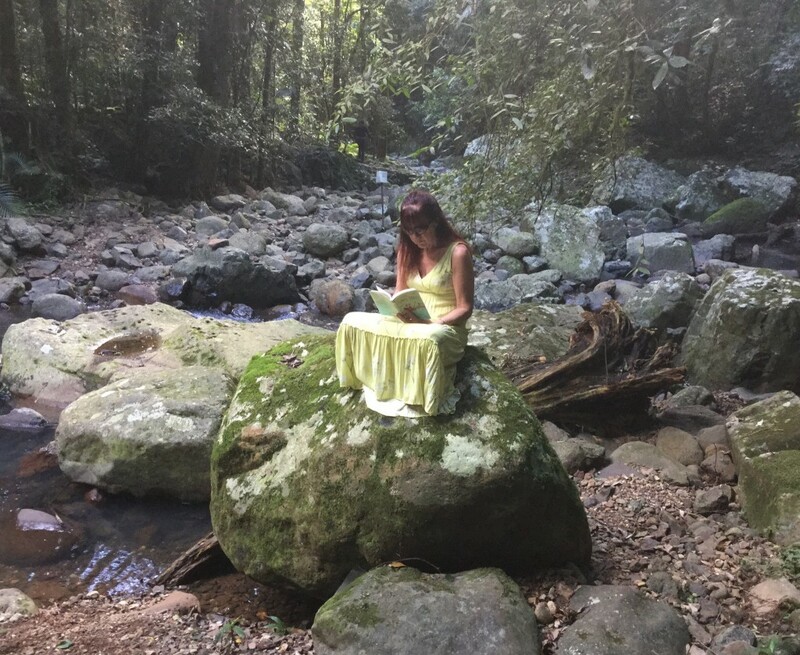 After spending the morning hiking through the amazing Springbrook National Park in the Gold Coast hinterland, I took time out with a great book aptly titled The Simple Things. 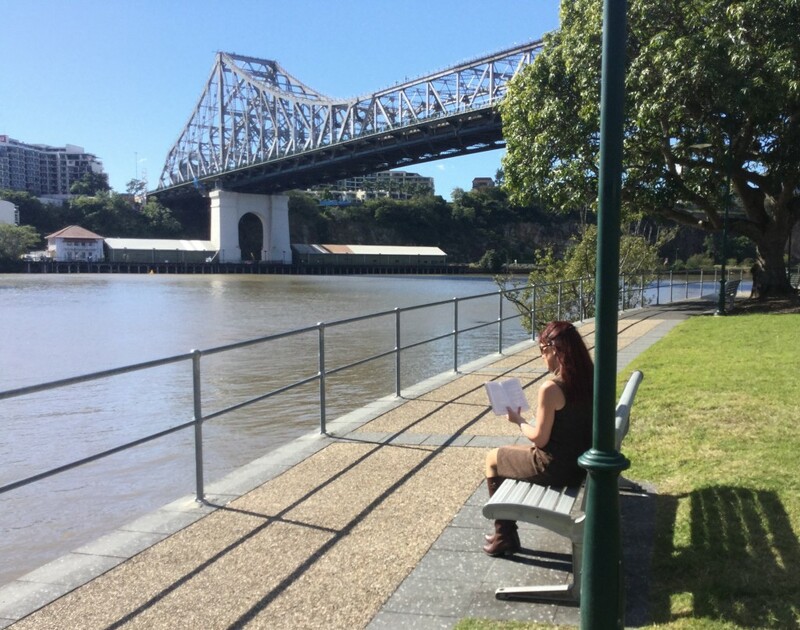 What better place for a story than under the Story Bridge which celebrates its 75th birthday this month. 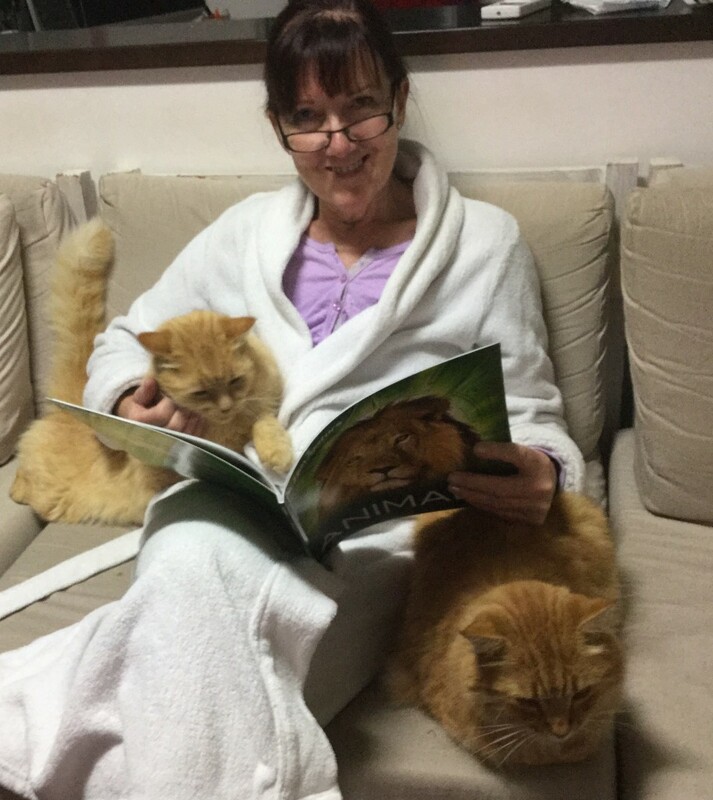 Bedtime reading with the boys. Wolverine was nonplussed but it certainly had Hercules’s attention. I hope you found time for some reading during the holidays. I’d love to hear about what you’ve read. It’s great weather for reading a good book. Not so good for swimming. Where do you like to read? 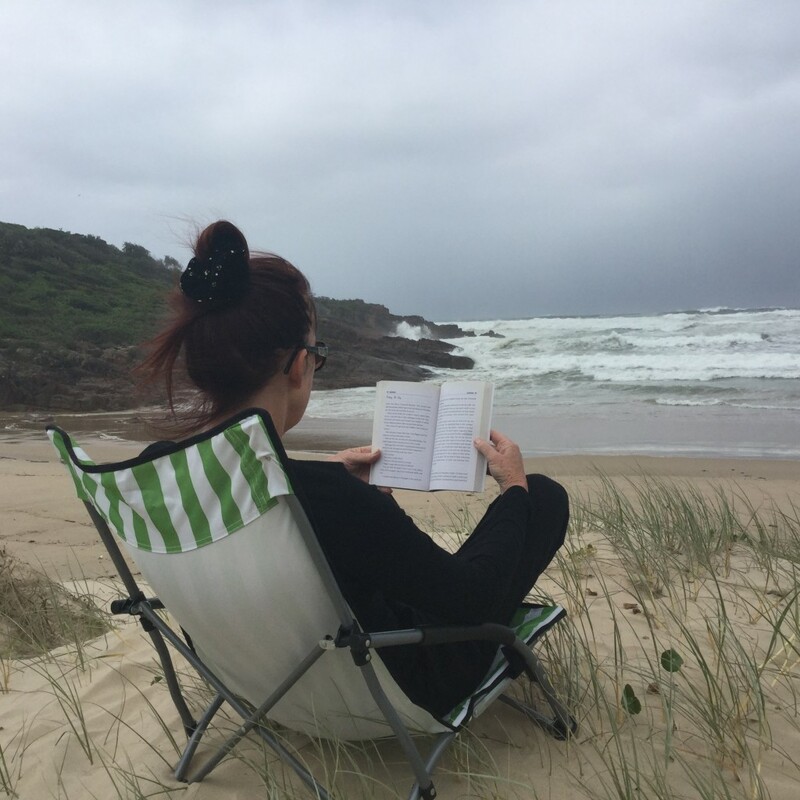 Do you have a holiday reading pic? You’ve got to love holidays! I’ve had a wonderful Christmas in Melbourne with my youngest son Geoff and his partner Naasicaa, spent precious time with my mum and sisters, enjoyed soaking up the sun and cooling off at the beach, and had lots of time to do what I enjoy most… reading! I seem to have a thing going on with the number four at the moment. It began when Mrs O Shea passed on four books for the holidays by American author Mitch Albom. I devoured these before New Year; my favourite was titled ‘The Timekeeper’. This story resonated strongly with me and was a reminder that in this fast, hectic world, which is so dominated and dictated by time, we should replace the fear of losing time with an appreciation of the time we have. During December I read three books from the ‘Text Classics’ series I bought for the library last year. 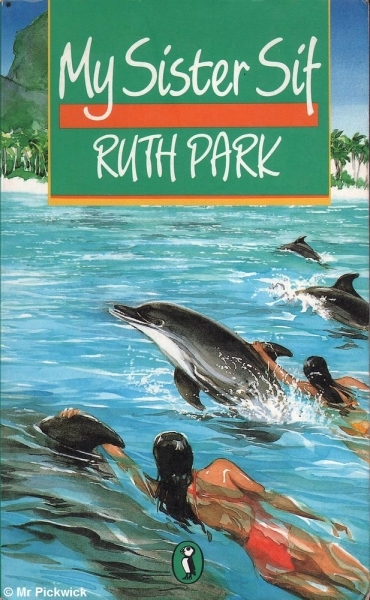 This series has republished many of the best titles from past and present Australian authors. I enjoyed ‘Ash Road’ by Ivan Southall, ‘The Watcher in the Garden’ by Joan Phipson and ‘They found a cave’ by Nan Chauncy. I have just read ‘The House that was Eureka’ by Nadia Wheatley. Its central themes are homelessness and unemployment, both during the Great Depression and in contemporary Australia and is based on factual material about the Sydney anti-eviction campaign of 1931. I would highly recommend it for those who like to read historical fiction. 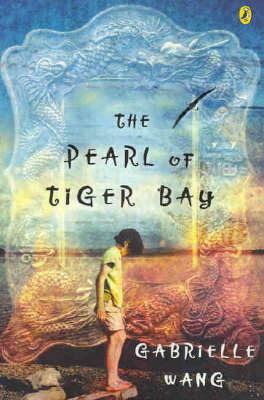 If you are a fan of ‘Playing Beatie Bow’ by Ruth Park or Belinda Murrell’s time slip novels you’ll enjoy this. Stuff Happens! Well it does to the boys from Monvale Primary school. Last week I read about the exploits of Michael and Ned. This morning I read about Jack and Sean. Jack invents a new game (You play, you pay) which goes terribly wrong and lands him in hospital and his friends in the principal’s office. You’ll have to read the book for the details, but needless to say I don’t think it’s a game Mr Brown would approve of. Sean’s story was about the dilemmas he faced moving house, starting at a new school and finding new friends. So far there are only four books in the ‘Stuff Happens’ series, but there are bound to be more. They’re a great read boys and on the 5/6 PRC list. Lastly I have to admit to never having read any of Andy Griffiths ‘Treehouse’ series so the four of these are on my bedside table for next week. Happy holiday reading everyone! I’d love to hear what you have been reading.